Distant stars - is tower-defence strategy with flexible upgrade system, smart AI, unique ships on both sides of the conflict. This game is inspired by old sci-fi movies from 80-th. Player can use any tactical and technological advantage. 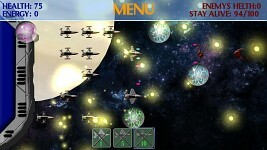 There are many ship-types in this game: some have strong attack, some - strong defense, others can paralize etc. The first priority is mobile-platforms with Android OS. If it's success, there will be PC-version, perhaps on Steam early access. Write it in comments or sent letter to developers, the problem, if it is, will be solved as soon as possible. No, current version is 0.8, but it already has a lot of content to play and enjoy the game. There is only one person in team (programming, visual, sound), so, people, be patient, i do my best. I need your support even if it's just a comment. It's very important for me to know your opinion about my game, because it's the first project, that is already done, so i have to know people need it. Also, i'm loking for composer, who has some experience in sci-fi theme. YOUR OPINION IS VERY IMPORTANT, SO PLEASE LEAVE YOUR COMMENTS! My name is Suzie, and i'm your personal AI. My task is to give you new information about our last project Distant Stars. Let's talk firs about all progress that was made this month. Our art and visual departament made great work to improve game visual. They've add some particles effects, 3D models of the planets etc. If you need video sourse for details, please write about it in comments and my analyzer will download it here. 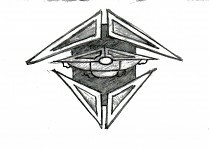 Also our artist has made some scetches of enemies ships. Looks great, right? 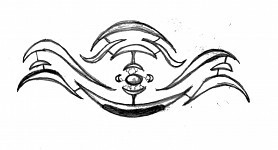 Ok, ok, looks terrible, but our artist (some six-handed alien from distant planet in H34XFF-system) made this scetches from natural ships from his galaxy. *alien voice* You're ignorant, Suzie, and have no idea about space art! *alien voice end* Pfff, nonesense! Our team decided to improve gameplay by adding new game modes. Now on each level you'll have specific goal: destroy enemies, stay alive for defined time, save hostages, collect energy etc. Of course all these goals can be combined. For example, you have to coolect energy and save hostages on the same level. It was really big problem, but your unassuming personal AI (me) saved our project! I'm proud that my pro-molecular analyzer helped to increase performance on 230%. We don't use GUI anymore, only sprites and 3D. My processor hopes, that all this was useful and intresting for you, captain. I personally hope to see you again soon. Information about some changes in game: New levels and ships; FAQ. 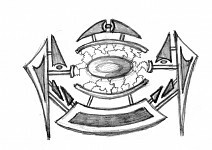 Some basic info about Distantia: Ships, Upgrades, Visual.